You can think of each episode like an opportunity to share a cup of coffee with some of the smartest people on the planet. 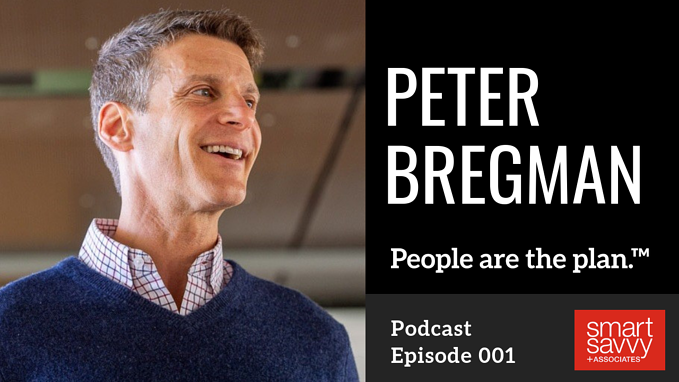 Today, we’re talking with Peter Bregman. For over 30 years, Peter Bregman has worked with CEOs and senior leaders to help them create accountability and inspire collective action on their most important work. He helps leaders to develop their leadership skills; build aligned, collaborative teams; and overcome obstacles, to ultimately drive results for their organizations. Peter is the author of Leading With Emotional Courage, the main subject of today's conversation. Four essential elements of effective leaders. How to develop emotional courage. The connection between confidence and vulnerability. Tips for giving and receiving feedback. How to self-identify what you need to work on. Peter's own life purpose, and how he arrived there. Peter's mediation practice and the benefits he's experienced. How emotionally courageous are you? Find out by completing this free online assessment. Curious about the book? Check out what Smart Savvy's Director of Client Services, Catherine Ducharme thinks in her Leading With Emotional Courage Book Review. 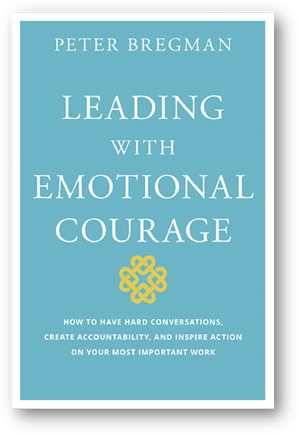 Head to Amazon to purchase your copy of Leading With Emotional Courage or enter below to win a free copy. Let us know! Head to iTunes or SoundCloud and subscribe so you don't miss future episodes. Leader are readers! Get your 'read' on with a free book from Smart, Savvy + Associates. All you have to do is enter your details below for your chance to win a copy. Winner will be announced Wednesday, December 12th, 2018. The Wall Street Journal bestselling author of 18 Minutes unlocks the secrets of highly successful leaders and pinpoints the missing ingredient that makes all the difference. Leading with Emotional Courage, based on the author’s popular blogs for Harvard Business Review, provides practical, real-world advice for building your emotional courage muscle. Each short, easy-to-read chapter outlines a distinct step in this emotional “workout,” giving you grounded advice for handling the difficult situations without sacrificing professional ground. By building the courage to say the necessary but difficult things, you become a stronger leader and leave the “should’ves” behind.